Great for eliminating humidity and preventing rust and mildew from forming. Ideal for Gun Safes, Cabinets, Electronic Equipment and High moisture areas. 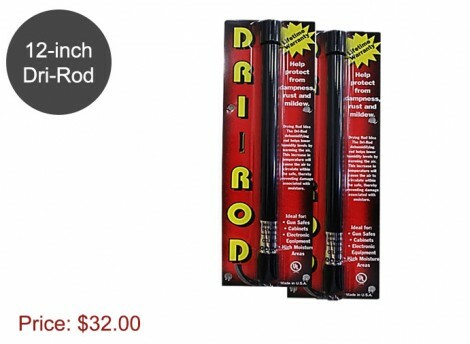 This 12-inch Dri-Rod provides up to APPROX 100 Cubic Foot Coverage. UL Rated and USES ONLY 7 Watts!